While editing through the photos taken of Patton's nursery I realized that I had forgotten to show you all how her letterpressed and hand embellished birth announcements came out! I was so happy with the custom work done by Brenna Berger of Paper & Ink in Manhattan Beach. I'd recommend her to anyone looking for a customized unique announcement, invitation, or logo design. Her work is just beautiful and she is very meticulous. Since Patton's nursery is painted a soft peachy pink we found a textured Italian paper which had a similar undertone. 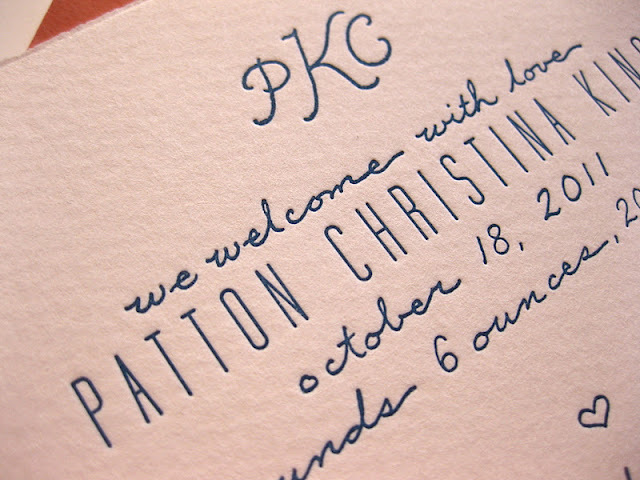 We chose letterpress because if I could, I'd letterpress everything! 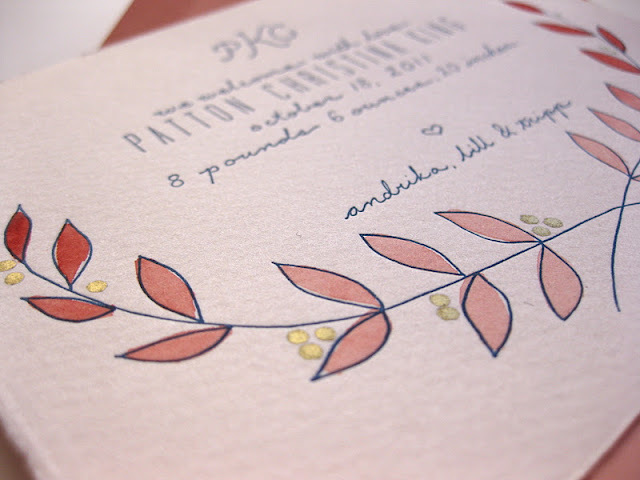 And to soften it up Brenna hand-painted the leaves in a coral watercolor and added berries in gold pen. For more photos of the announcement click here or visit her blog Paper & Ink which has photos and stories of all of her portfolio. 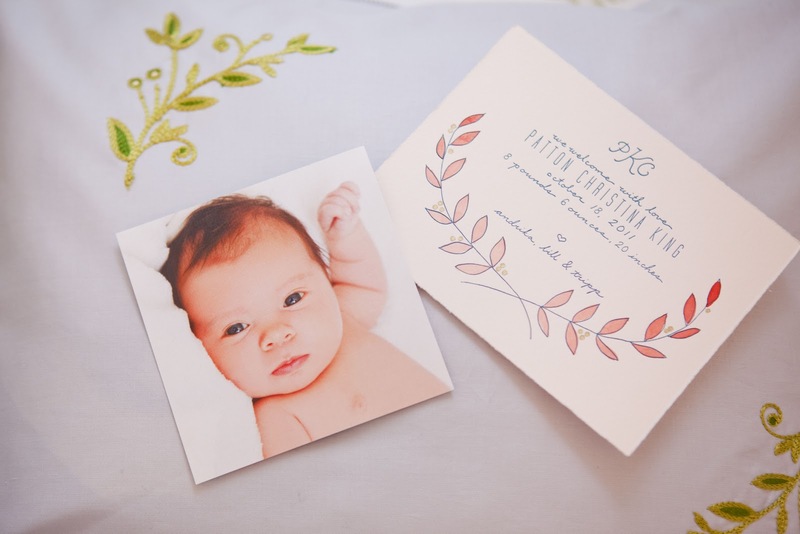 And since I love photographs, I had Liz from Life Iz Photography take the photos of my baby girl and we printed them on linen-textured paper to flow with the design. Thank you both for creating a special piece for my family! 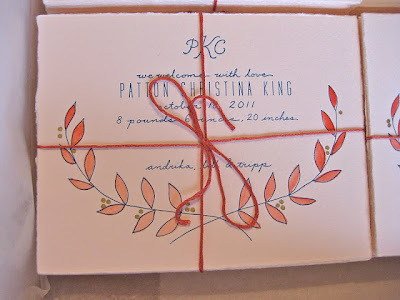 These are beautiful and your daughter is gorgeous!